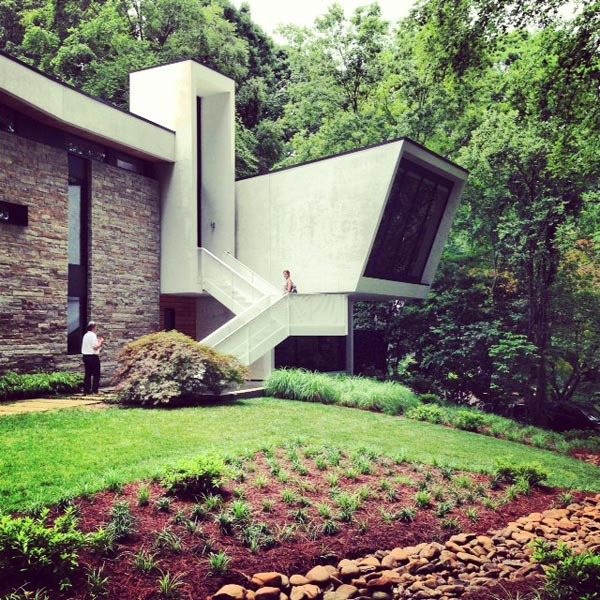 As the only freestanding midcentury specialist in Atlanta, City Issue is Mecca for local Mad Men fans. 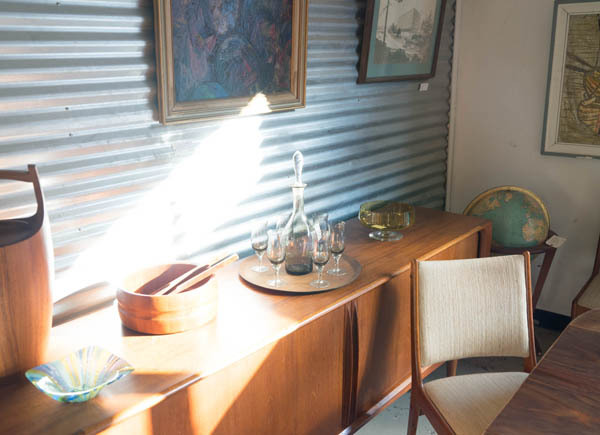 A full-time vintage dealer since 2000, owner Jennifer Sams has enviable knowledge of the modern design movement and cross-country experience with finding exquisite pieces. 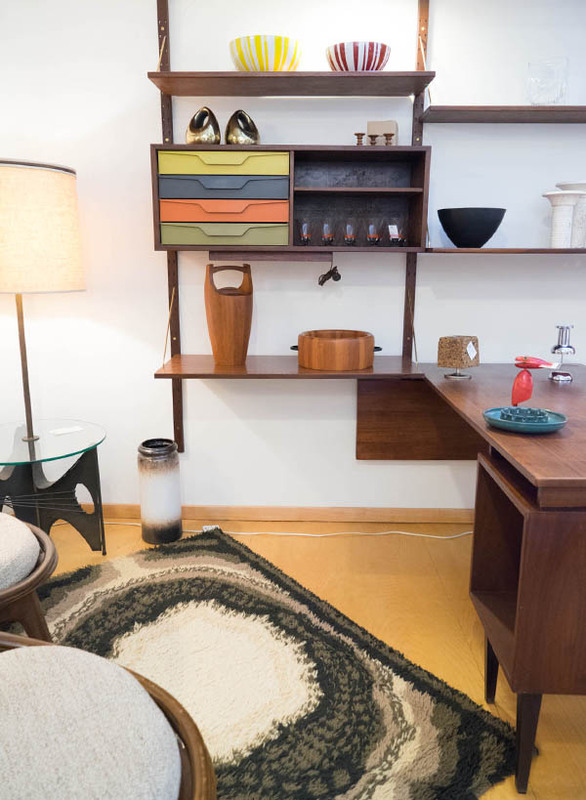 I photographed her Inman Park shop and asked her to dish on topics to titillate the growing mass of midcentury style seekers: her favorite cities for antiquing, the best buys for starting a collection, and more. Q: If the shop were on fire and you could save only one item, what would you choose? A: It changes every day! 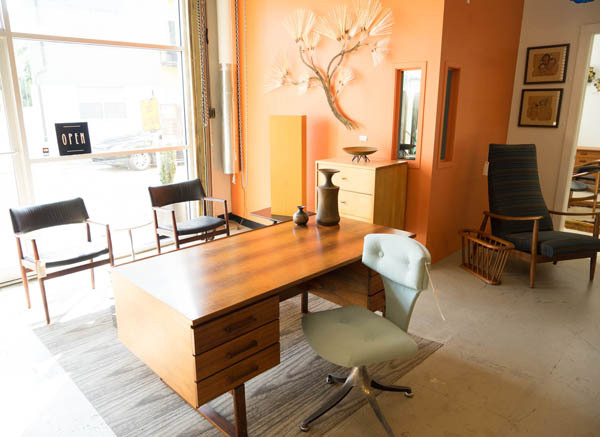 Of course I wouldn’t be able to toss this over my shoulder, but we just got in a really gorgeous Jens Risom desk and credenza–he’s one of my favorite designers. It has these Y-shaped pulls you don’t see very often that are very sculptural. And I just love his pieces anyway because they’re oiled walnut, which is my very favorite finish of any wood. 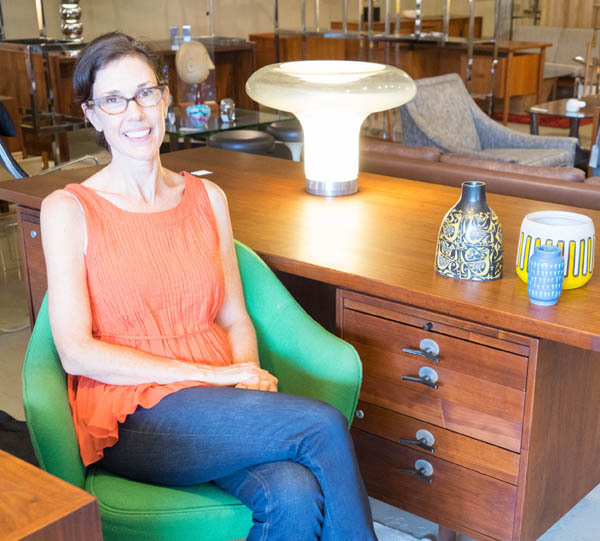 Jennifer Sams at a Jens Risom walnut desk, her current favorite item at her Atlanta midcentury antiques shop, City Issue. 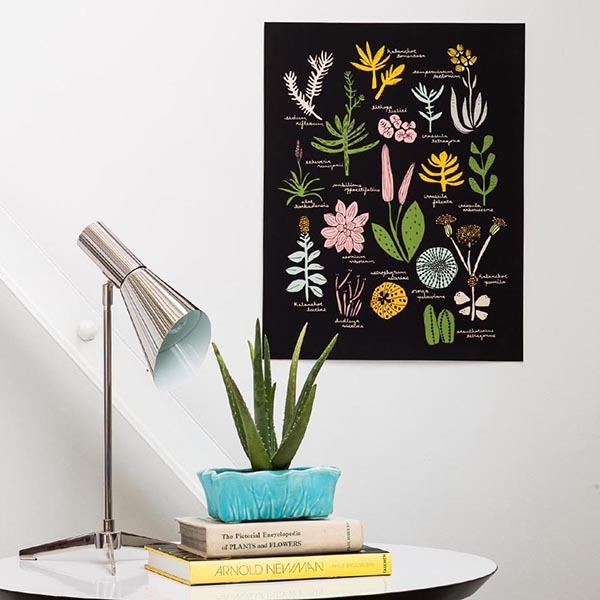 Q: What are good buys today for someone who wants to begin a modern collection? 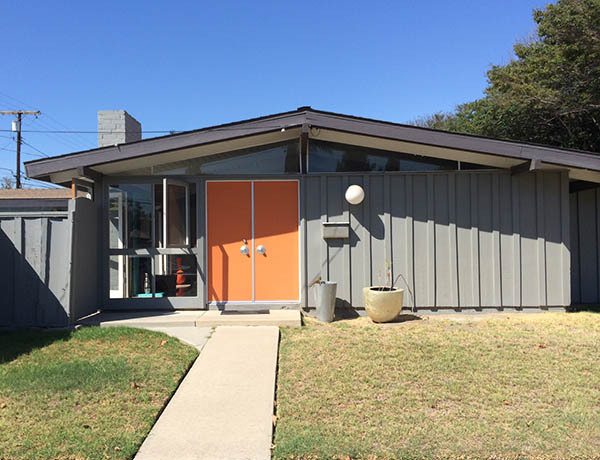 A: I personally think the classics will hold their value–and that’s the Herman Miller, the Knoll–really, the first generation of designers of the midcentury modern. Now, that said, those pieces are really expensive right now; we’re at a high point in the market because there’s so much interest in it. As far as good values, I [recommend] peeling back the layers and finding some of the more important but obscure designers. . . 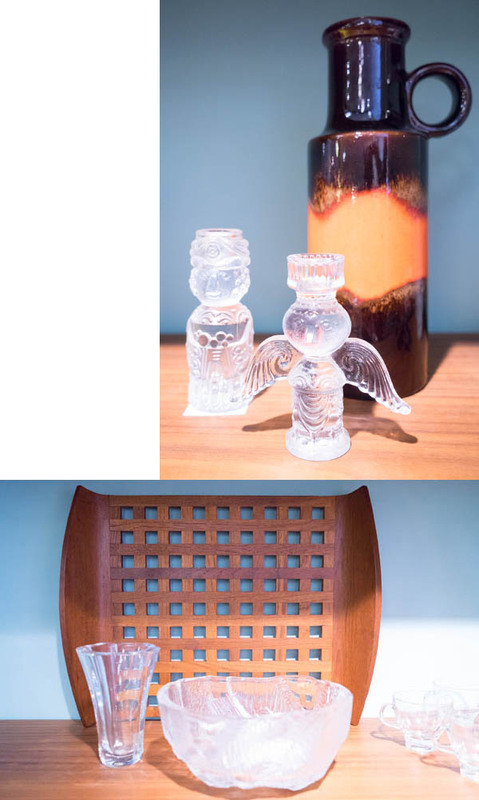 Some of the glass and accessory designers from that time period aren’t necessarily as iconic as the Eames and Saarinen. 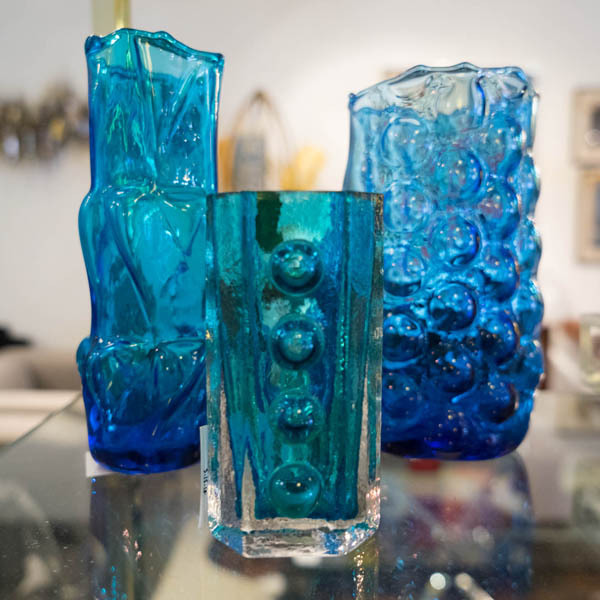 Something I’ve really seen grow, but you can still luck into cool pieces at good prices, is Blenko glass, much of it designed by Wayne Husted. . . . 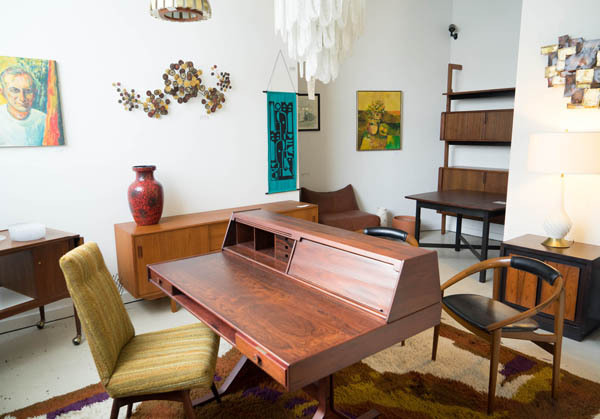 There was a designer for Holmegaard, Per Lutken, his pieces are very simple–some of them are still in production–but the early ones are signed and numbered. They’re beautiful, simple, blown glass or crystal in clear, smoked gray, or pale blue–not like Blenko with the bright colors. His style is very recognizable, but his name isn’t so huge that people are out searching for it yet. 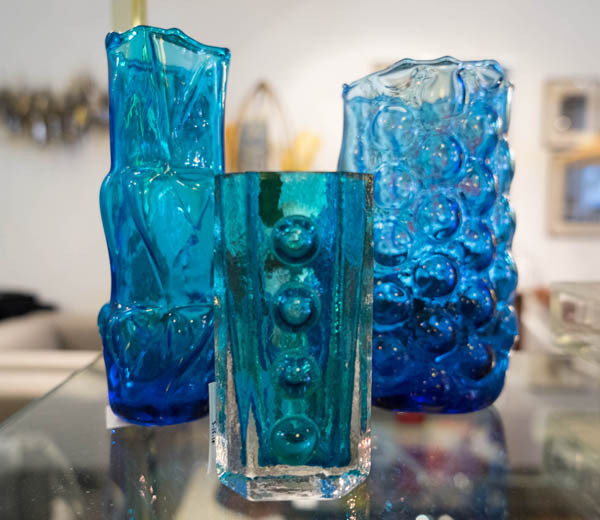 Jennifer recommends Blenko glass (left and right) as an affordable starting point for a modern collection. Q: What item can you never resist picking up on a buying trip? 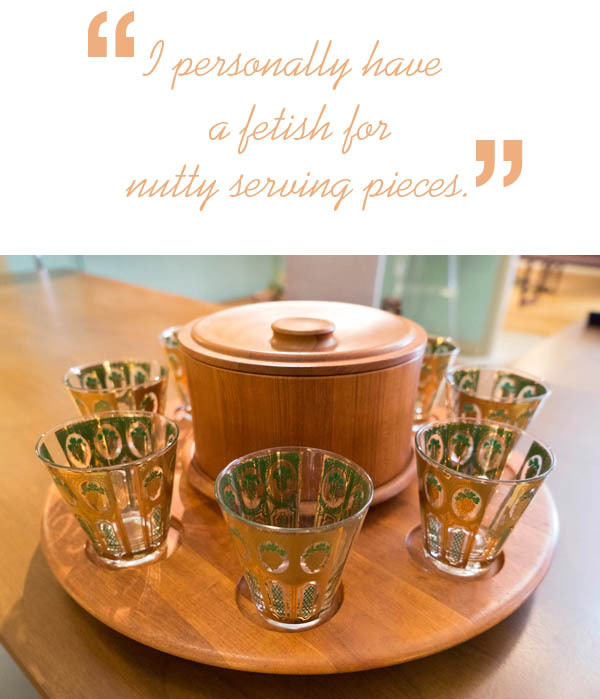 A: I personally have a fetish for nutty serving pieces. 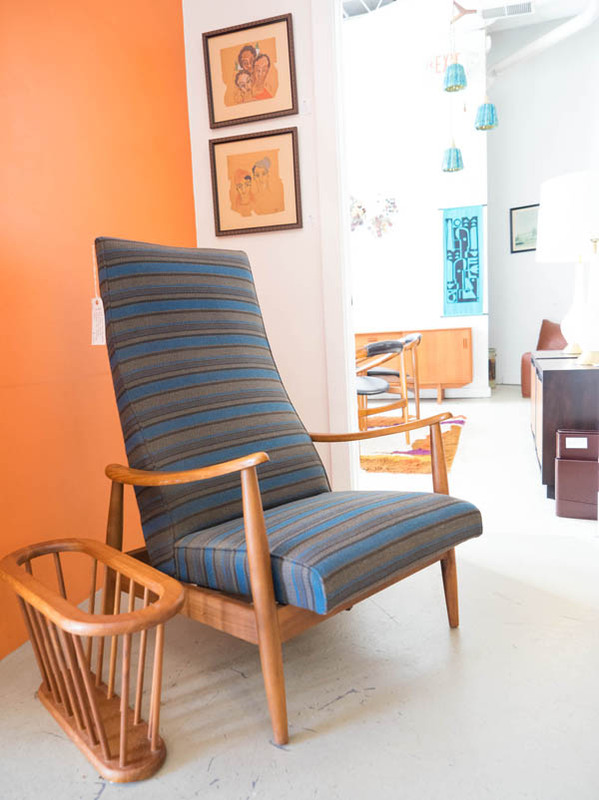 No matter what classic furniture pieces are there, [I buy] serving pieces that have wood handles–usually rosewood or teak. There were so many pieces of beautifully designed barware from the midcentury. I always hunt for that . . . and a lot of times it goes to my house. I use that stuff like crazy! 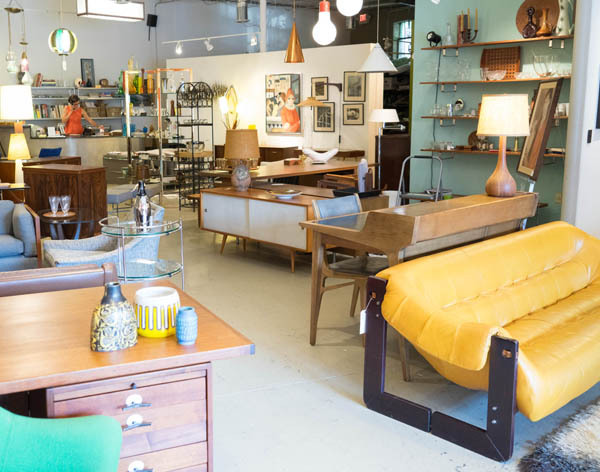 Q: What are your favorite cities for antiquing? 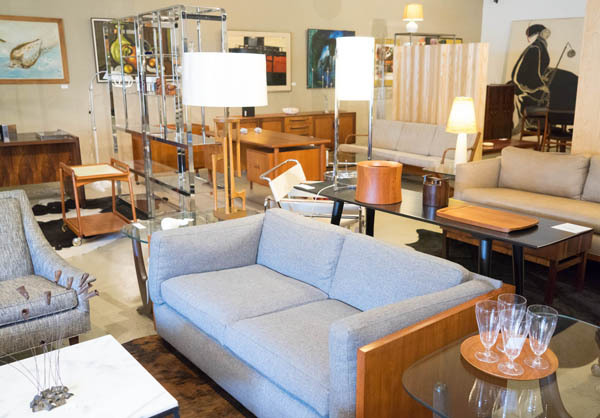 A: High Point, NC, because furniture companies like Drexel and Thayer Coggin manufactured there, so the area is really rich in midcentury products. I also have luck in Grand Rapids, Tampa, and Miami. Q: What resources do you recommend for people who want to learn about modernism and how to identify pieces? A: I wish there was one nice big fat textbook, but unfortunately there’s not. 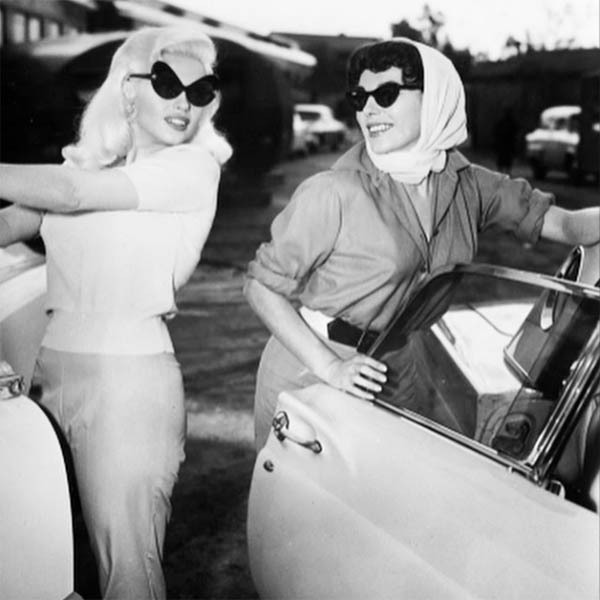 I use a combination of books, especially published by Taschen and Schiffer; magazines like Atomic Ranch and Modernism; and the internet. 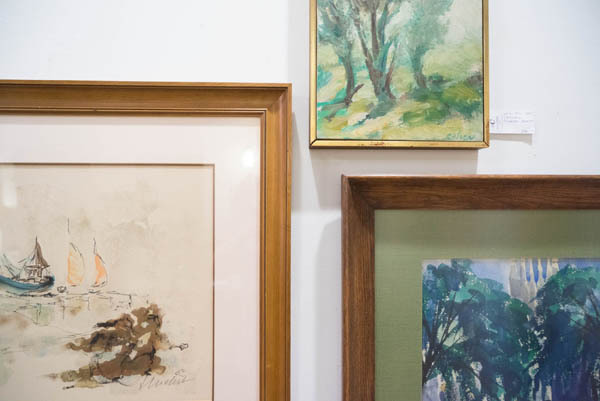 I keep an eye open for good exhibitions at museums, too, and sometimes even plan travel around them, because seeing good pieces in person takes learning to a different level for me. 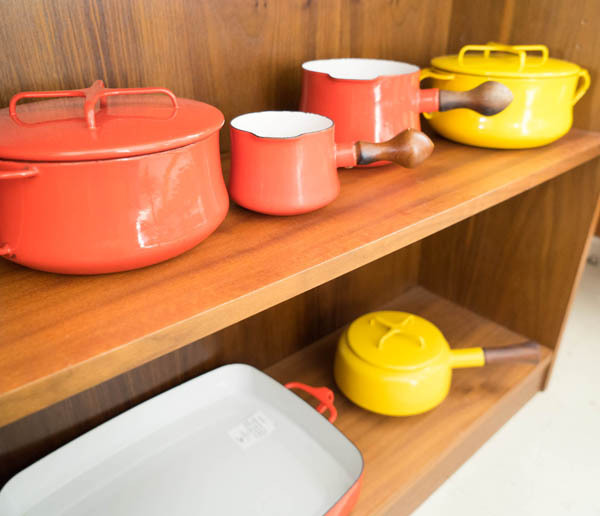 City Issue always has a selection of Dansk enamel pots and pans, which got everyday use in Jennifer’s childhood home. 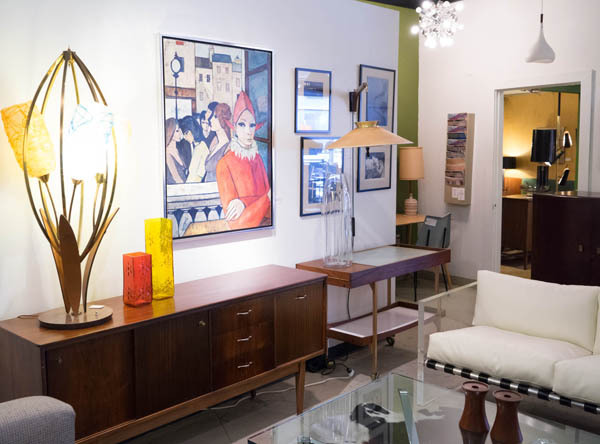 If you’re hunting for midcentury furniture, paintings, or glassware, City Issue is the best-curated source in Atlanta. Check out the selection on 1st Dibs if you’re not local. What a lovely tour. I can’t believe that I haven’t been in this shop yet. A situation that needs remedying! Get over there, Becky! At least for eye candy. Thanks so, so much for all the kind words! 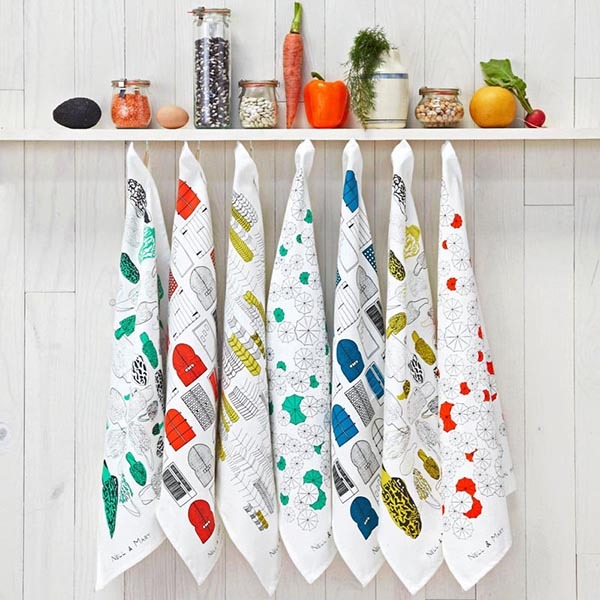 I’ve had so much fun reading all of your posts, the one about the mobile retail shops really has me thinking – such inspiration! You’re so welcome, Jennifer! Thanks for letting me lurk around and ask questions on your day off!